[Reuters] Deutsche Lufthansa plans to seek large compensation payments from Berlin airport. May 13 (Reuters) – It’s seeking the monies from the operators of Berlin‘s newest airport as the delayed opening in Germany’s capital city may inflict unforeseen costs on the country’s biggest airline, Die Welt reported, citing executive board member Carsten Spohr. Costs will include spending on training additional staff needed to handle an expected increase in passenger volumes at Tegel airport, Spohr was quoted as saying in an interview. Tegel will stay open after a decision this week by Berlin operators to delay the opening of the city’s new airport, scheduled for June 3, until…..
[Reuters] The opening of Berlin’s new airport will be delayed by up to three months due to fire safety problems, authorities said on Tuesday, dealing an embarrassing blow to the German capital‘s flagship project less than a month before its planned launch. 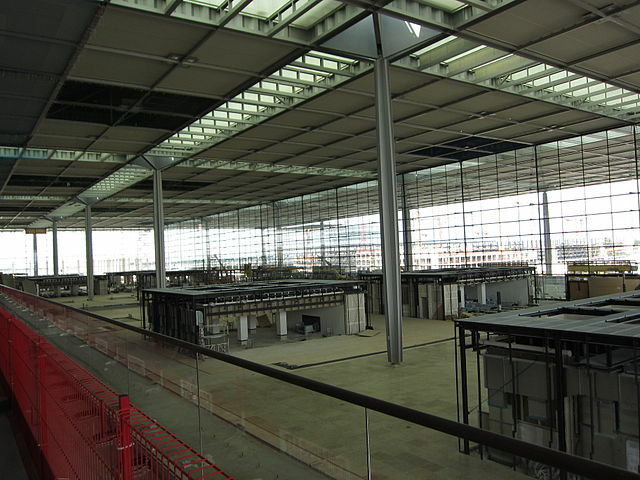 Berlin-Brandenburg Airport, which will also be known as Willy Brandt Airport after West Germany’s Cold War chancellor, had been scheduled to open on June 3. But the airport’s operator said the move from the city’s Tegel airport was suspended with immediate effect. “It’s not a good day for airport Berlin-Brandenburg Willy-Brandt, not a good day for the citizens … and the many visitors to our region,” Berlin mayor Klaus Wowereit told a news conference. Matthias Platzeck, state premier of the neighbouring Brandenburg region, said he now hoped the airport would be open in the second half of August, after the school holidays in Berlin and Brandenburg. The opening of what will be Germany’s third largest airport after Frankfurt and Munich, has been postponed once already. See the full story at Reuters…. Tags: Boeing, Boeing 747-8, carsten spohr, Frankfurt, Germany, Lufthansa, Paine Field, Washington, Washington D.C.
[Seattle PI] On Tuesday Boeing celebrated delivery of the first airline 747-8 Intercontinental, the last in a series of new airplanes. Now the new model has to prove itself in service to bring what Boeing hopes is a pile of new orders. “This was hard. This was six years of solving problems,” Pat Shanahan, vice president and general manager of Airplane Programs at Boeing Commercial Airplanes, said at the Future of Flight Aviation Center, beside Paine Field airport and Boeing’s Everett wide-body aircraft plant. 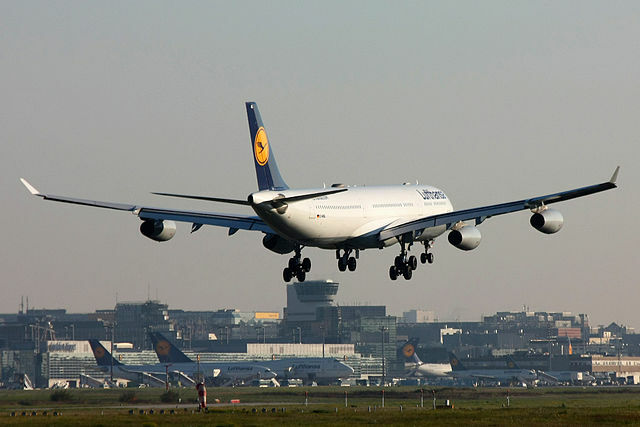 Lufthansa legally took delivery of the airplane April 25. 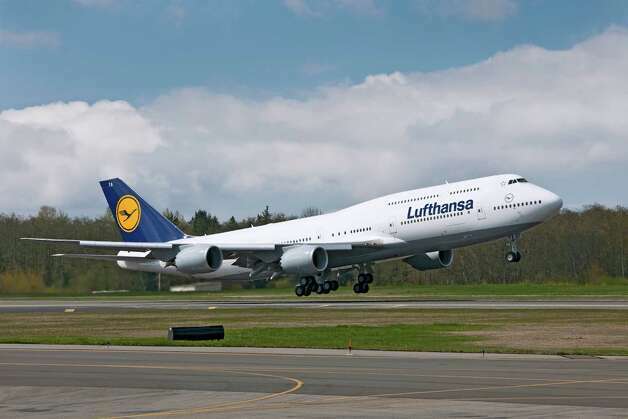 The airplane is scheduled to enter service June 1, after crew training and installation of some extras at Lufthansa’s base in Frankfurt, Germany, said Nico Buchholz, Lufthansa’s executive vice president, Group Fleet Management. Lufthansa plans to start with service from Frankfurt to Washington, D.C., adding Los Angeles, Chicago and destinations in India soon after, and then switching routes from 747-400s to Intercontinentals as it gets more of the new airplanes…..
Read the full article at Seattle PI…..
[Independant] A plane was forced to make an emergency diversion and land after a passenger died on board, an airline said today (17th April). The incident happened on board a flight from Leeds Bradford Airport to Prague last Friday, Jet2 said. It was reported that the passenger, believed to be a 22-year-old man, suffered serious breathing difficulties as the plane was travelling north of Dusseldorf in Germany. The pilot made an emergency diversion to Dusseldorf and landed. She said: “Due to a passenger becoming unwell on the Leeds Bradford to Prague flight on Friday, the captain diverted the aircraft to Dusseldorf to seek urgent medical attention. “We can confirm that the passenger did sadly pass away. We extend our sincere condolences to his family and friends at this very sad time…..
Read this PA report in The Independant…. MUMBAI: In a move that would give Jet Airways a cutting edge advantage over its rivals, the country’s largest private carrier is likely to move a large part of its international operations to Munich in Germany by the year end, said two people familiar with the development. Those in the know of the matter also said the development is a precursor to the Naresh Goyal promoted airline joining Star Alliance, one of the biggest airline alliances in the world that flies over 600 million passengers around the globe annually. Jet already has a European hub in Brussels, in Belgium which it established in 2007 and it might reduce operations considerably to the European city or slowly shift base to Munich, the exact strategy of the airline for its scissor operations at Brussels could not be ascertained immediately. Jet Airways spokesperson said the in a reply to ET query that the story is speculative while Jet’s CEO, Nikos Kardsis declined any such move being contemplated by the Indian carrier. Another Jet senior official Sudheer Raghavan also said that the query is speculative. But the 35 new flights to Munich requested by Jet Airways from the ministry of civil aviation for its winter schedule tell a different story. The move comes at a time when the ministry has allowed private carriers to have equal rights with Air India for international operations. Jet’s shift in favour of Munich can also be gauged from its recent application when it applied for an additional flight from its current hub at Brussels that came with some great sops in airport charges and an interline agreement with Brussels airlines. Jet currently operates 200 international flights daily with a fleet of 101 aircraft and is said to be looking to add some more wide-body aircraft to its fleet as and when the market conditions stabilise…. Read the full story at The Economic Times….